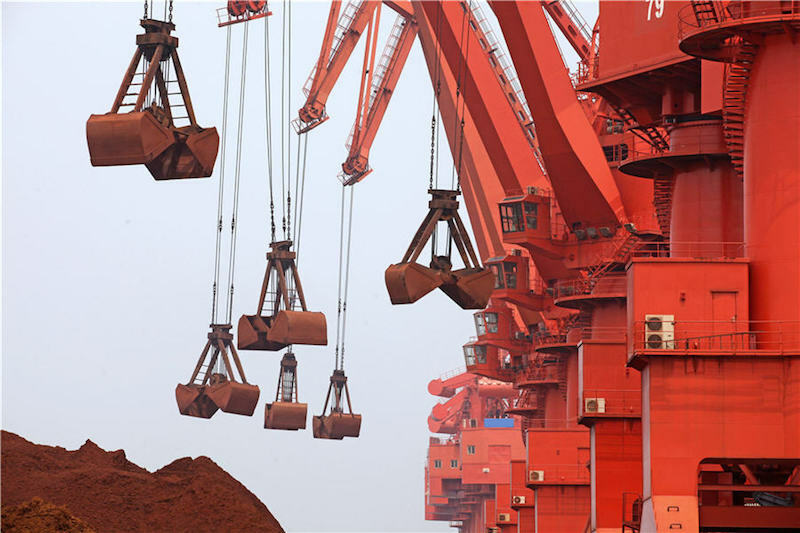 China’s 2018 iron ore imports fell by 1 percent from the previous year, the first annual decline since 2010, according to data from the General Administration of Customs on Monday. Full-year iron ore imports fell to 1.064 billion tonnes in 2018 from an annual record of 1.075 billion tonnes in 2017, the data showed. The ore imports, though, still exceeded 1 billion tonnes for a third year running. Arrivals for iron ore shipments in December rose to 86.65 million tonnes, up from 86.25 million tonnes in November, official customs data showed. “With lower profit margins this year, steel mills would increase consumption of lower-grade iron ore, while reducing demand for medium- and high-grade ore,” said Wang Yilin, an analyst at Sinosteel Futures. “China’s supply side reforms have been digested in the past two years and profits for steelmaking will return to a reasonable range in 2019,” Wang said. Average profit margins for rebar production now hover around 300 yuan ($44.50) a tonne, while hot-rolled coil production is barely maintaining a profit, according to data tracked by Jinrui Futures and Sinosteel Futures. Steelmaking profit margins hit a peak of more than 1,500 yuan a tonne in late 2017. Steel exports from China rebounded in December from a 9-month-low to reach 5.56 million tonnes, up 4.5 percent from November’s 5.32 million tonnes, customs data showed. However, total exports continued to fall in 2018, curbed by a bruising trade war with the United States and competition from steel products from India, Russia and Turkey as Chinese prices climbed. Benchmark construction steel rebar prices rose as much as 28 percent at 3,976 yuan a tonne in August before falling to 3,400 yuan by the end of 2010, but are still up 10 percent from the start of the year.